Don't Hire a General Criminal Lawyer To Handle Your DUI. You need a specialist. Few cases require more scientific knowledge than DUI cases. A complete defense requires command of chemistry, biology and physics, and hundreds of scientific studies. Tom Hudson is one of 4 board-certified drunk driving defenders in Florida. Call us if we can help you. We are happy to provide a direct link to the office of the Clerk of Courts where your case is located. You can link directly to the Clerk of Court and check out the most recent filings and court appearances in your case, without waiting on the phone! 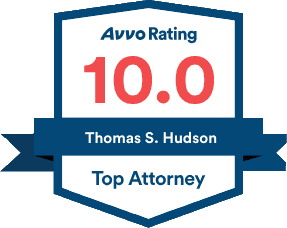 Tom Hudson has been recognized nationally as a Board Certified DUI Defense Expert since 2008. He is a member of the Faculty of the National College for DUI Defense. Rated 10.0 (Superb) by Avvo.com, and AV-Rated (Preeminent) by Martindale-Hubbell. A NHTSA-certified Instructor in DWI Detection and Standardized Field Sobriety Testing. Trained as a Florida Breath Test Operator. Rated 10.0 (Superb) by Avvo.com and rated AV-Preeminent by Martindale-Hubbell. Tom Hudson and Ruth Wohlman Hudson are proud graduates of the elite Kenyon College, and the respected Case Western Reserve University School of Law, where they met and were married in 1981. Ruth is licensed as an attorney in the State of Ohio. Our Sarasota-Bradenton office is located on U.S. 41 near the Sarasota Airport. We are near the line between Sarasota County and Manatee County and practice actively in both counties. Our Key West office is near the Monroe County Courthouse in the City of Key West. A nationwide leader in DUI defense. Sarasota, Bradenton, Key West. Rated 10.0 (Superb) by Avvo.com, and AV-rated (Preeminent) by Martindale-Hubbell. Sometimes, you need an Expert. Hire a Board-Certified DUI Specialist. Board-Certified in DUI Defense since 2008 by the National College for DUI Defense, following a demanding course of study and rigorous written and oral examinations. On the Faculty of the National College for DUI Defense Summer Session, held at the Harvard Law School, 2014-present. Despite his outstanding credentials, clients agree that Tom is approachable and nonjudgmental. 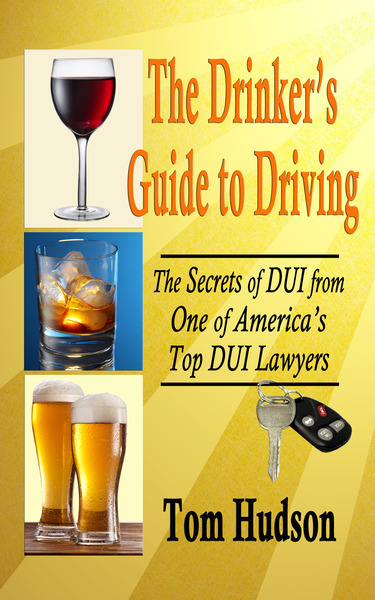 Recommended by some of the leading DUI Specialists in the country. A talent for thinking "Outside the Box." Formal NHTSA Certification as an Instructor of DWI Detection and Standardized Field Sobriety Testing given by police in DUI cases. Formal training to operate the Intoxilyzer 8000, Florida's official breath test instrument. Extensive experience in teaching other attorneys how to handle DUI cases. Hundreds of jury trials both as defense lawyer and as prosecutor. There is no objective way to measure which lawyer is the best. A lot depends on the chemistry between you and the lawyer you select. However, Tom Hudson is widely respected for his training and knowledge of the field, as well as his decades of trial experience. Here is a recent news story about how we challenged the unconstitutional roadblock procedures of the Sarasota County Sheriff's Office. If It Is Your Second Offense, You Need a Specialist. All About DUI School After Your Drunk Driving Arrest. The Double Disadvantage of the Female Drinking Driver. The TRUE COST of a DUI Conviction. Why you should fight your case. The Scoop on Suspensions. What you need to know. Boating Under the Influence in Florida. What you need to know! Copyright 2002-2016 The Law Office of Thomas S. Hudson, P.A. All rights reserved.